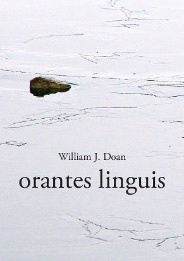 William Doan’s orantes linguis is amazing in every sense of the word. Linguistically kinetic and full of twisted humor, it’s as if Joyce’s “Portrait of the Artist as a Young Man” and Frank O’Hara’s paens to the everyday had birthed a child. But Doan’s voice is also entirely his own. Down to earth yet transcendent, raw yet incandescent, this book gets to the heart of Catholicism and childhood, excavating memory and existence with precision and genuine insight. The end result is dazzling. To paraphrase a line from Doan himself, ’this book is incantatory.’ Alistair McCartney, author of The End of the World Book: A Novel.